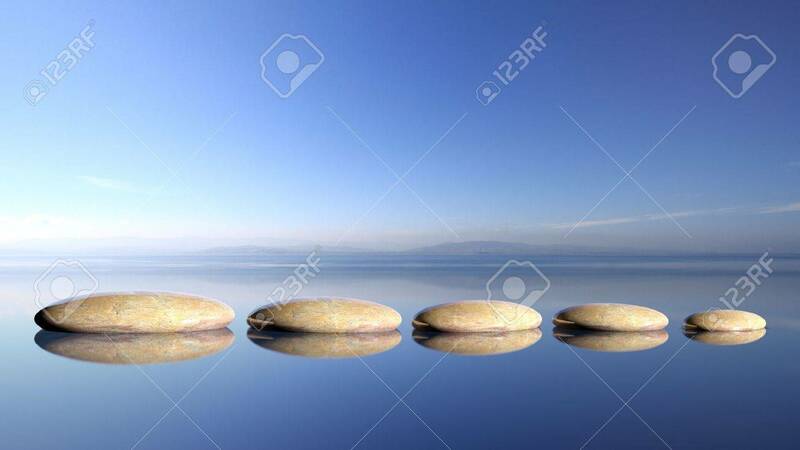 Zen Stones Row From Large To Small In Water With Blue Sky And.. Stock Photo, Picture And Royalty Free Image. Image 50022955. Stock Photo - Zen stones row from large to small in water with blue sky and peaceful landscape background. Zen stones row from large to small in water with blue sky and peaceful landscape background.